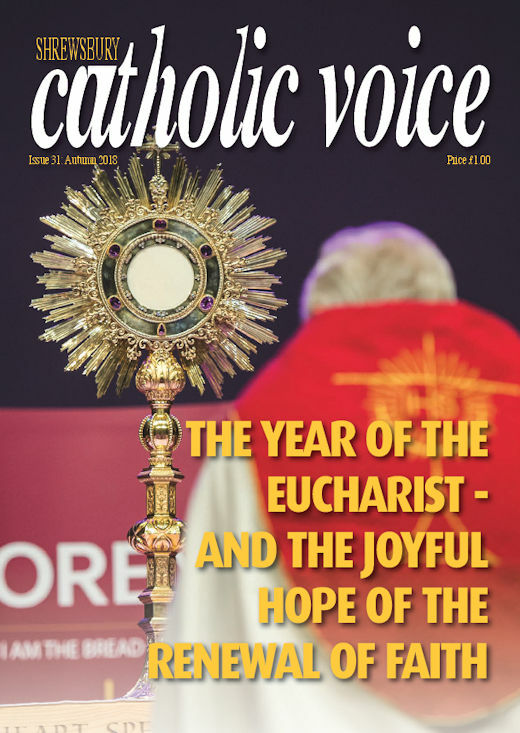 The autumn 2018 edition of the Shrewsbury Catholic Voice is on sale in parishes throughout the Diocese. The magazine is published by Gemini Print Limited, which also handles the advertising, accounts and distribution of the Shrewsbury Catholic Voice on behalf of the Diocese of Shrewsbury. To advertise in the Shrewsbury Catholic Voice please contact Gemini Print Limited on 01942 712480. The Shrewsbury Catholic Voice welcomes local news articles and ideas. Please submit news items, not exceeding 400 words, and pictures (high-resolution jpeg format) for consideration for publication. Please email them to simon.caldwell@dioceseofshrewsbury.org and please remember to include your contact details.